He kissed me a lot but loved Maryann more. He loved Maryann’s hair, wavy, not curly, the kind that bounced and teased. He loved her stretchy smile and reddened lips even though the two of them were twelve years old. He loved her skirts puffed with netting and twirlable, just in case. Bobby was my boyfriend, my first. Sometimes his mother and father, who both worked at night, also left me two Lorna Doone cookies on a plate alongside his glass of milk. We walked his dog, the happy Boston terrier whose tail suggested a tighter curl, like mine, but whose walk was as sure-footed as Maryann’s was through the halls of the Williams School where boys longed to share a glance or to brush the edge of her skirt with their trousers. We used to walk the dog behind rag shops and into junkyards when workers were at home and a secretary’s desk sat alone until the next day. We’d climb over pallets into hiding so our two twelve-year-old mouths could touch the way a boyfriend’s and girlfriend’s might. At the end of summer we were back at school – Bobby, me, and Maryann. All of us one year older, teens now – acne, moods, the curse, and a school dance. It would be the first for seventh-graders. Maryann knew how to dance. All I knew was one step of the cha-cha – forward, back, step, step, step. Once we met at the movies, me and Bobby. He stretched his arm across my shoulder the way boyfriends did and he and I became a Friday night we. Once in the girl’s bathroom I saw Maryann slip a nickel into the Kotex machine and draw out the pad as it dropped into the tray, so confident, as though she were gathering a prize she’d won from the gumball machine. She didn’t see me. Bobby and I still met for walks. If only he’d ask me. I’ll dress in a flared skirt with netting and twirl it and I’ll make my hair bouncy and I’ll wear my mother’s red lipstick. A nickel in the Kotex machine, lipstick lips, swirly skirts, the elastic smile, and her pointy breasts that I have not yet mentioned, gnarled around one other in my mind. The pimple on my chin advertised the curse, betrayed me. Run, run behind rag shops deserted of workmen and secretaries, run anywhere. Just don’t answer him. And then…one nod, like the descent of a slow-motion yo-yo that I’d never learned how to finger, the one nod said it all. Author’s Comment: Those were the days – when a woman would do anything to please her man, even if they were both only thirteen years old. I was looking through an old yearbook and noticed Maryann’s picture still as beautiful to me now as it was then and I decided to come clean about this embarrassing interaction that happened between me and my first junior high dance and my first boyfriend. I wrote the first draft of this piece on an airplane. I’d spent a week in the Caribbean with six women, close friends. Mornings meant coffee outdoors, waves calling for our attention, and talk, the kind that scratches our hearts, the kind that reveals moments that carved out and shaped our personalities. Or is it that our personalities determined our reactions during uncomfortable times? My goal was to develop a snapshot of myself to show what it looked like when I would attempt to repair the unrepairable in something not really worth saving – an already frayed relationship. It is at those crossroads that my truer stories appear. 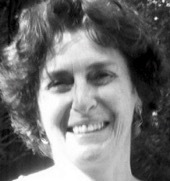 Jane Kays is a retired elementary school teacher and literacy consultant. In retirement she takes writing classes and attends writing retreats while working on a series of memoir pieces for her two daughters so they might better understand their mom and themselves. View More: Next piece "Everything Happens for a Reason? ", Home, Archive.